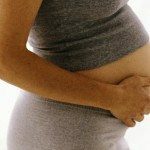 Pregnancy is a time when some women have to cope with a range of symptoms, some of which are caused by the changes that are taking place in the ligaments and muscles as the baby grows and as hormonal changes occur. As the baby grows, the mother’s weight increases and her centre of gravity changes. This results in many women suffering from low back pain. Similarly, as breast weight increases, a woman’s upper back may also be cause for complaint. During pregnancy, the ligaments soften. This may cause old problems to recur or may contribute towards new issues, as there is additional pressure on joints in various parts of the body, including the spine and pelvis. Osteopathic treatment during pregnancy sometimes provides relief from the muscular and joint aches and pains, backache, neck pain and sciatica that some pregnant women suffer. By gently easing / relaxing the local soft tissues, osteopathy may also be used to work on local circulatory and digestive problems. The treatment of pregnant women forms part of osteopathic training. Treatment is gentle, including rhythmic mobilisation of joints, relaxation and stretching of muscles, soft tissue massage and subtle / indirect release techniques. We find that many mums who come for a post-natal check-up for their babies forget that their back and pelvic alignment may have been affected by pregnancy and delivery. Osteopaths sometimes work with local health visitors and midwives and, as we are trained to screen for medical conditions, I will tell you if you need to see another health professional such as your GP or midwife. Many pregnant women and post partum mums put up with muscular aches and pains that might be alleviated by osteopathic treatment. After delivery, a post-natal check-up can be useful as some mums suffer from mid and low back pain – a gentle treatment or two soon after the birth can help the mothers body deal with these mechanical strains. Some osteopaths also work alongside lactation consultants to give postural advice related to breastfeeding. For some women, some low back and pelvis problems and discomfort do not ease quickly after delivery. Osteopathic treatment alongside gentle exercises may reduce the discomfort. Some women will need 3 – 6 treatments, some conditions do best with regular check-ups. I have done a considerable amount of post graduate training in osteopathy for babies, children, pregnant and post partum mums. After graduation in 1993, I began volunteering at the Osteopathic Centre for Children in London. In 2001, shortly after it became available, I completed my two year Diploma in Paediatric Osteopathy as well as having undertaken a number of other post graduate paediatric courses.